Protecting the assets of today's digital business cannot be understated. Even after making investments in security technology, all too often, businesses continue to be impacted by malicious attacks. It's increasingly difficult to stay on top of the number and sophistication of new threats as well as the massive amount of security data and alerts. Luckily, you can depend on ShorePatrol's Managed Security service to provide rock-solid security for your IT environment. 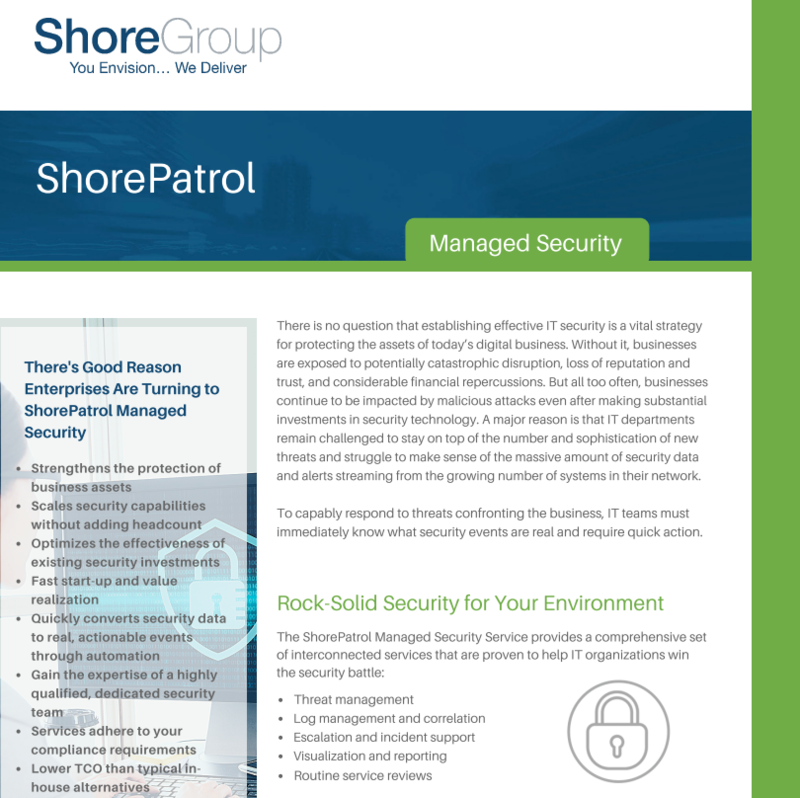 Download the ShorePatrol Managed Security datasheet to learn more.